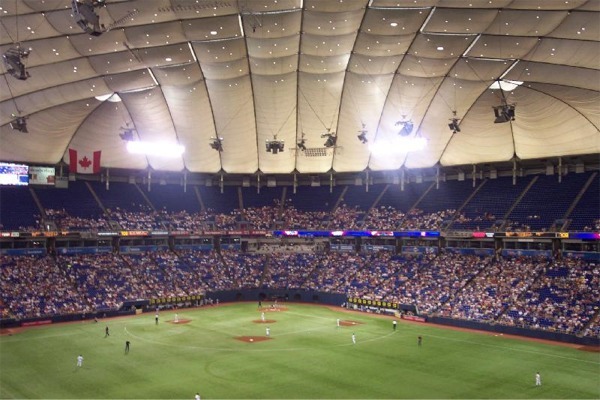 For 27 seasons, Twins baseball was played indoors at the Metrodome, where baseballs could hit off the roof, bounce fast off the turf or knock off the baggy in right field. 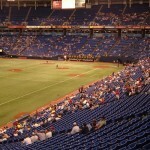 Although it may not have been the best ballpark in baseball, some fans came to love its quirks by its closing in 2009. 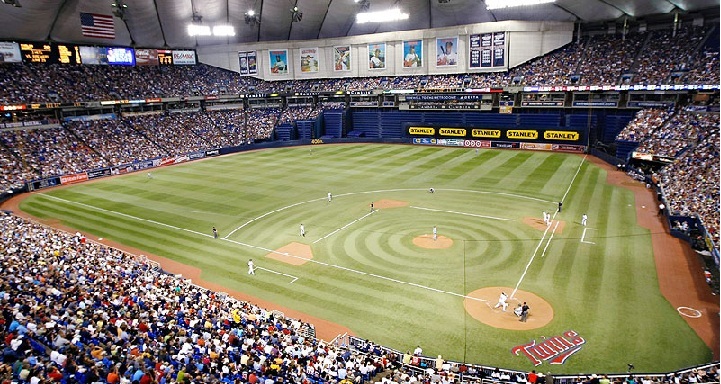 The Twins have called Minneapolis home since 1961, playing there first two decades at Metropolitan Stadium. 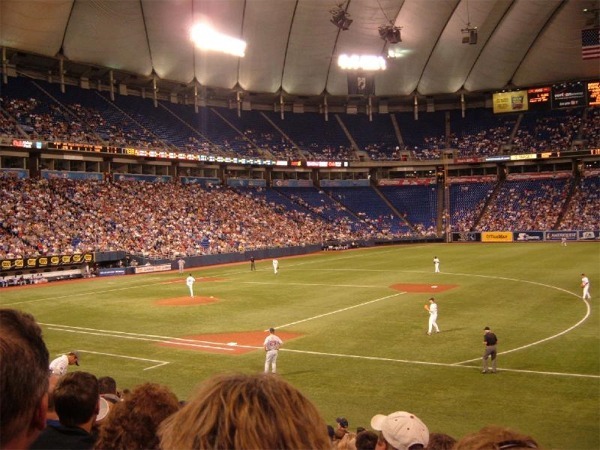 Located in Bloomington, MN the Twins shared this stadium with the Minnesota Vikings (NFL). By the mid 1970s it began to show its age. 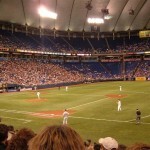 Both teams began to push for a new stadium and in 1977 the Minnesota State Legislature passed a bill authorizing construction of a multipurpose domed stadium. 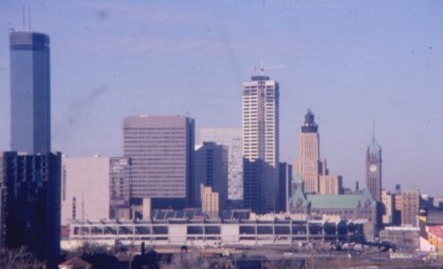 A 25 acre site was chosen in downtown Minneapolis for the stadium and construction began on December 20, 1979. 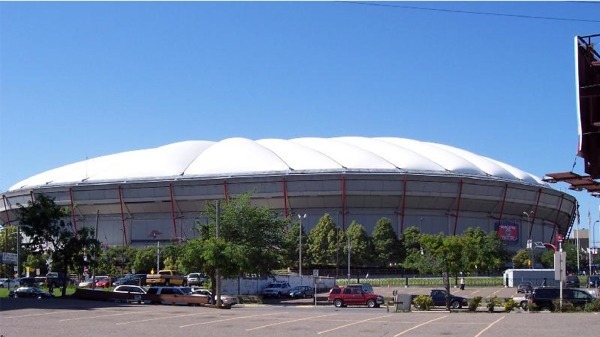 The dome consisted of an air supported fiberglass fabric roof and a 340 ton cover for the dome was held in place by air pressure generated fans and steel cables. The roof had snow melting ducts to prevent a collapse. 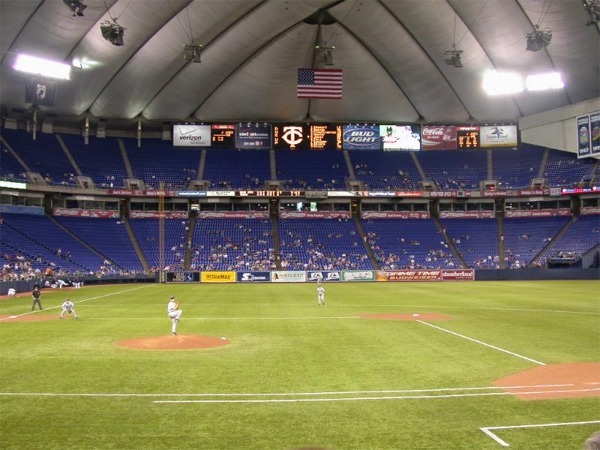 However, the roof has collapsed four times due to snow, the last in December 2010 causing the Vikings game to be postponed and moved. Six time gold glover Kirby Puckett. 1988 Cy Young winner Frank Viola. 3,000th hit by Dave Winfield on September 16, 1993. Blue Jays’ Frank Thomas hits his 500th homerun on June 28, 2007. Named after former Vice President Hubert H. Humphrey, the H.H.H. 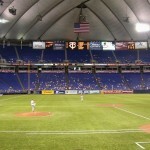 Metrodome opened on April 3, 1982. 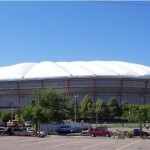 It was the third dome stadium to open. 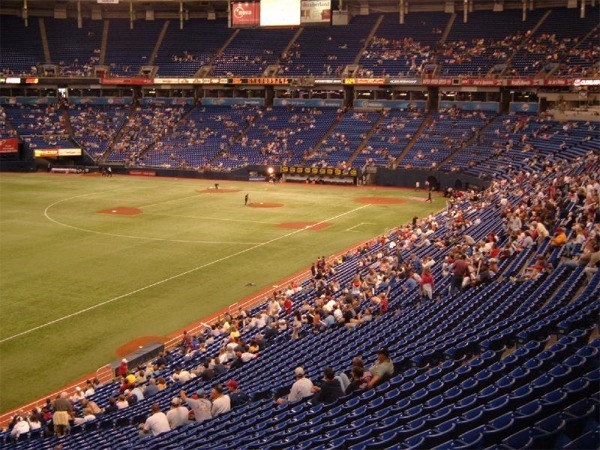 Approximately 48,678 blue seats circled the entire stadium for baseball. 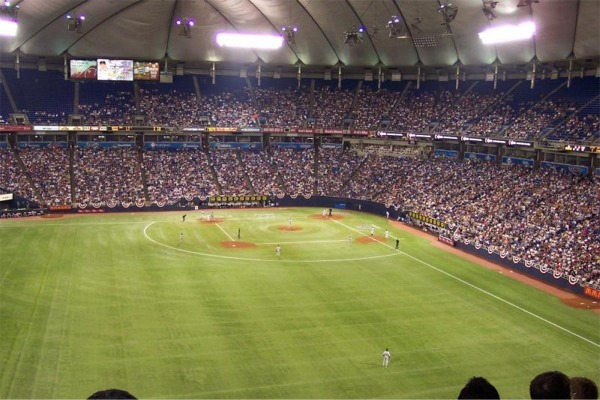 Making up the right field wall of the Metrodome was 7,600 retractable seats that allowed for the conversion from baseball to football. A huge scoreboard/video board was located above the upper deck in left field. 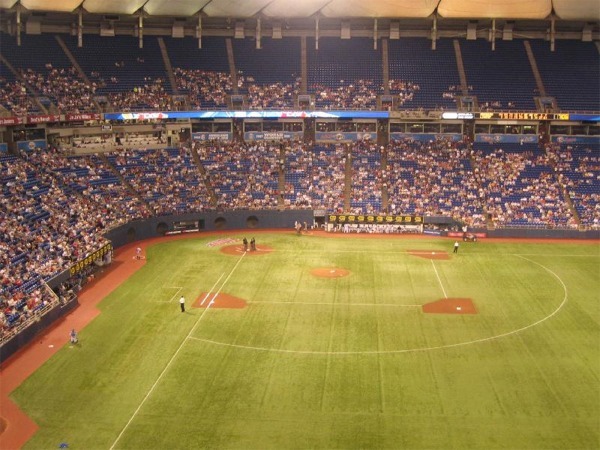 The Metrodome changed little during the Twins tenure here. Before the 1994 season the dugouts were moved closer to the field allowing for three rows of seats increasing the seating capacity by 900. A gathering plaza for fans was added in 1996 along Kirby Puckett Place. This was a place for groups to meet and enjoy food and beverages before games. 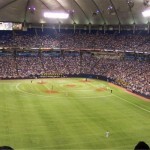 To help reduce the number of empty seats, a 200 foot long curtain was added to cover many of the seats that were in the upper deck in right field. 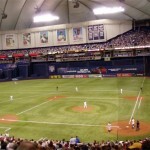 After the 2003 season, the Astroturf was removed from the Metrodome and replaced with Fieldturf. 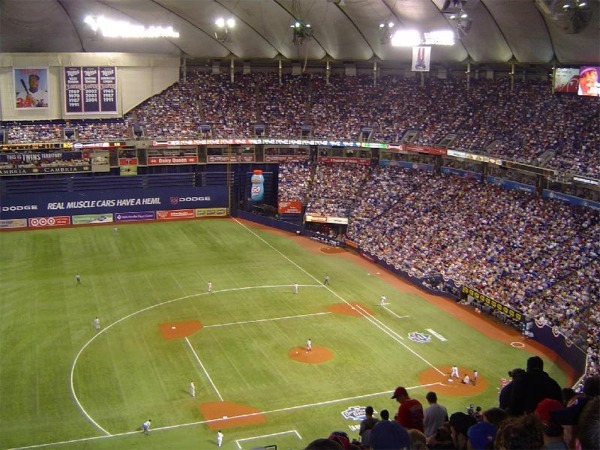 For more than a decade, beginning in the mid 1990s, the Twins began trying to get a new ballpark built. 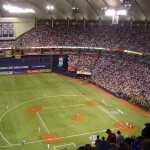 In May 2006, the State of Minnesota approved financing for construction of a new ballpark. 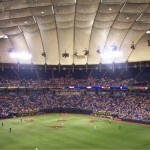 Constructed in downtown Minneapolis, Target Field opened in April 2010. 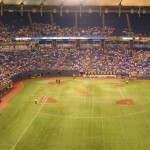 The Minnesota Twins played their last game at the Metrodome, an American League Division Series game against the New York Yankees on October 11, 2009. 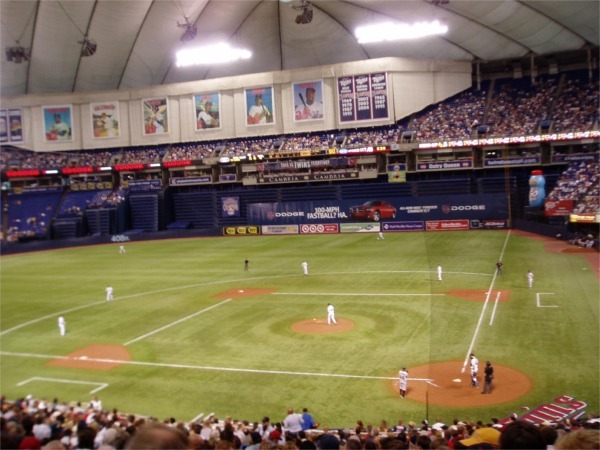 The Metrodome remained the home to the Minnesota Vikings until after the 2013 NFL season. 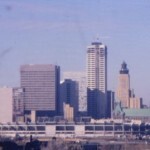 It was demolished to make room for the Vikings new stadium, US Bank Stadium, in Winter 2014.